Apples and peaches taste great together in many drinks and desserts so it would only make sense to blend them for a hard cider! If you are looking for a way to use your extra peaches or just want to try a new hard cider recipe, try making hard peach cider! This recipe uses apple juice as the cider base with peaches added in the secondary to blend in the delicious peach flavor. 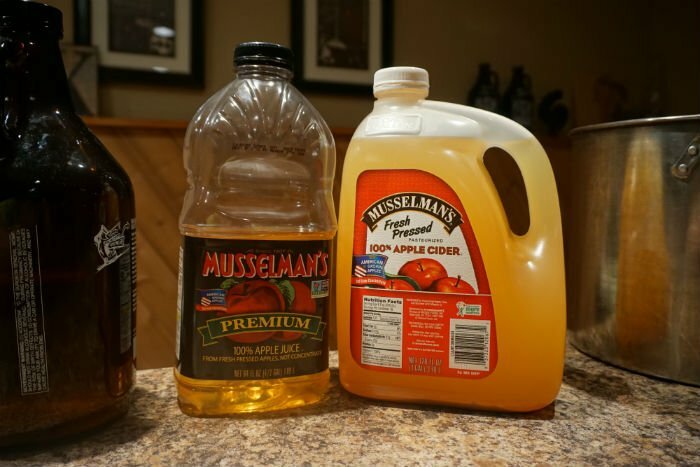 Blending additional fruit, such as peaches, to add flavor to hard cider is great when the only option for cider must is store bought apple juice or concentrate. These apple bases sometimes lack depth and flavor after fermentation because they are made primarily of dessert apples that leave little unique characteristics such as tannins. The fruit, or peach in this recipe, will add flavor and depth to these sometimes basic and watery ciders. What type of peaches should I use for making cider? There are many varieties of peach to choose from but availability tends to be the limiting factor. 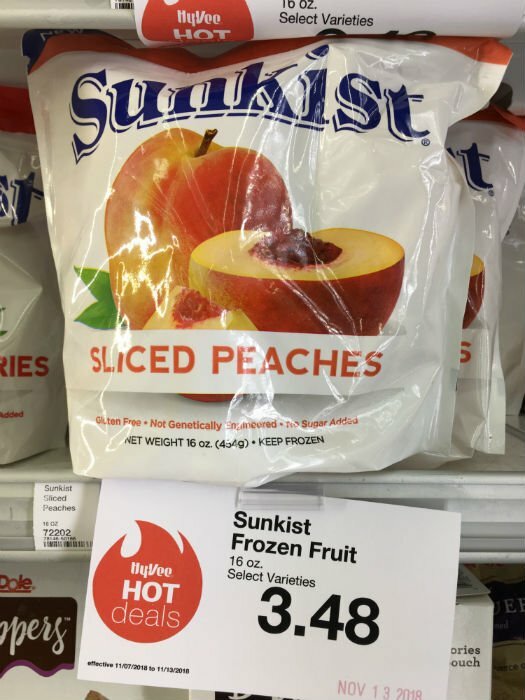 Fresh peaches are always great but only available seasonally while frozen peaches can be found in most grocery stores year round. Whether you choose to use fresh or frozen peaches, I suggest chopping or crushing the solid fruit or juicing the peaches. Doing so creates more surface area and allows the flavors to blend into the cider quicker. If you are concerned about clearing the peach fiber out of the finished cider, the fruit solids can be put into a muslin hop bag before begin added to the fermenter to easily contain it. Additionally, peach nectar can also be found in most grocery stores and will work for a peach fruit base. It is important to make sure that the peach nectar is 100% juice and not sweetened with corn syrup or other sugars as well as preservatives. I would like to mention that canned peaches are probably not going to be the best option because many of them are packed in syrup or have added sugars. Primary vs. Secondary: When do I add the peaches to the fermenter? If you are looking for a pronounced peach flavor, crushed peach or juice is best added after primary fermentation has stopped otherwise you may lose a lot of the peach flavor. Adding the peach late protects the flavor that could be lost during vigorous primary fermentation. Keep in mind that peaches contain a fair bit of sugar so fermentation will take off again after adding the fruit. If you prefer to only back sweeten with peach juice, to make a sweet peach cider, you will have to stabilize the hard apple cider first so refermentation does not begin. For this batch of cider, I used store bought pasteurized 100% apple juice with an original gravity of 1.046 SG. Because peaches were out of season, I chose to use frozen peaches that will be added in the secondary and peach nectar for back sweetening id desired. 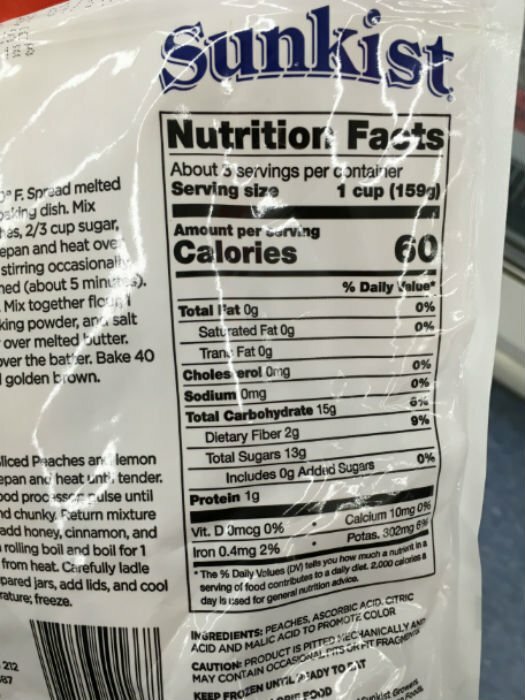 The 4lbs of peaches should result in an additional 5.7oz of sugar in the cider which equates to about a 1.003 SG rise. I calculated this number by looking at the nutrition information sugar content and punching it into a chaptalization calculator and Brix Converter. I chose to use an ale variety yeast, Nottingham, which finishes semi-sweet and adds notes of fruity flavors that compliment cider well. The yeast nutrient and energizer will improve the health of the yeast which will produce finer tasting alcohol (fewer fusel alcohols ). 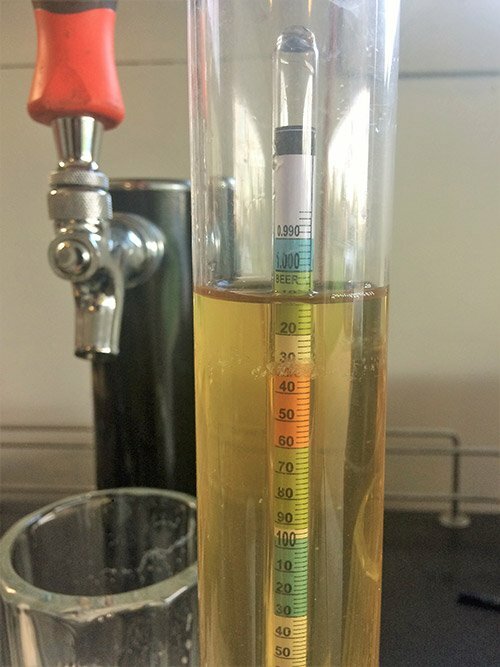 When making a cider, yeast nutrient, is typically added in the beginning to increase the amount of dissolved nitrogen in the juice. Depending on the OG of the juice, the cider should finish fermentation in about a two week when fermenting at 68F. Sample SG to get a true gauge of the progress of fermentation. A time frame is less important than a quality fermentation. Once the cider completed primary fermentation (or close to it), I crushed the peaches and put them in a sanitized hop bag. Then I tossed the peaches into the fermenter and poured the extra peach juice over top. The hop bag makes it a lot easier to get the peach solids back out! I allowed the peaches to soak in the cider until fermentation totally stopped about another week or two. Then I remove the muslin bag and cold crash the cider to settle out suspended yeast and fruit solids. At this point, the peachy cider was ready to be racked to remove the liquid from the solids before moving on to finishing. 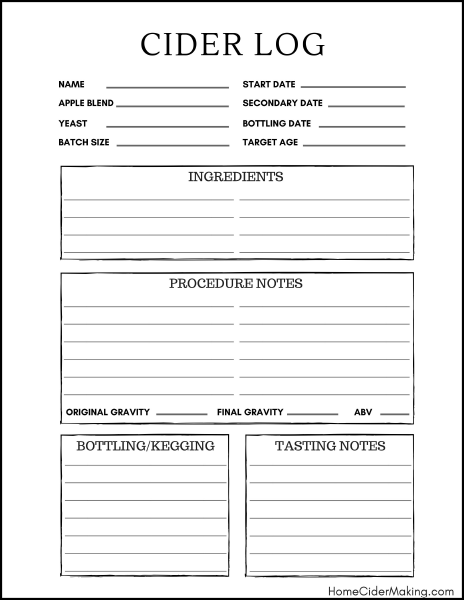 Now that the cider is peachy, it can be prepared for bottling or kegging. The next steps will be determined by how you want to finish the cider. Learn more about finishing cider by reading the bottling and aging cider article. Because I planned to keg this batch of peach hard cider, I stabilized the cider using campden and sorbate. I followed the manufacturers instructions for dosing and let the cider rest for a day before siphoning it into a clean and sanitized corny keg. Once the keg was sealed up I connected the CO2, purged the keg of oxygen and carbonated the peach hard cider with at about 15PSI for 3 volumes of CO2.